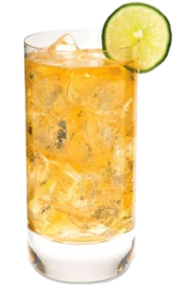 In a tall glass filled with ice add Ginger Beer, top with Doc’s (Dark) Rum, and a splash of pineapple juice, garnish with a lime wedge. Add all ingredients to a ice filled shaker. Shake. Pour into a tall glass. Float a splash of 151 on top if you dare. 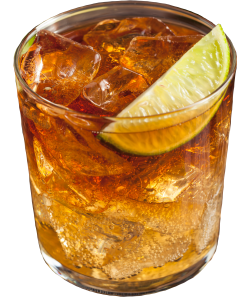 In a Rocks Glass add Ice and 2-5 oz of Doc’s Really Bad Aged (Dark) Rum. Muddle the mint and berries in a shaker and add freshly squeezed lime juice. 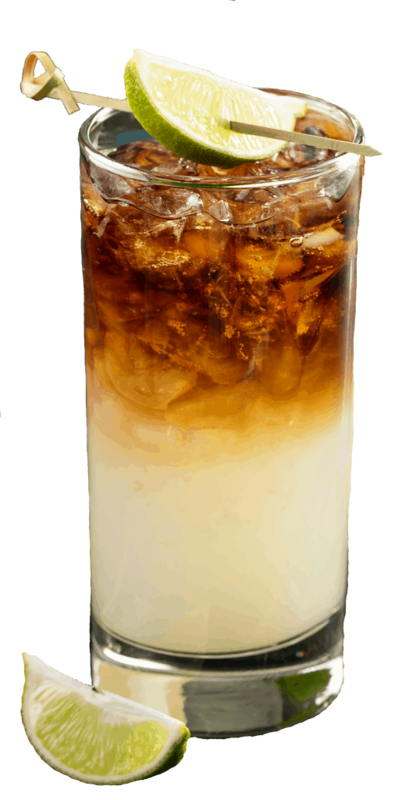 Next, add ice and Doc’s (Silver) rum, then shake and pour all ingredients into a tall glass, splashing with soda before serving. Garnish with blackberries and lime. Combine all ingredients in an ice-filled shaker, shake well and strain into an old-fashioned cocktail glass over ice. Build ingredients in a highball glass over fresh ice, squeezing the lime over the cocktail before dropping it in and serving cold. Combine ingredients in an ice filled shaker – Shake and pour into a cocktail glass. Garnish with Cherry & Orange wedge & fresh nutmeg. 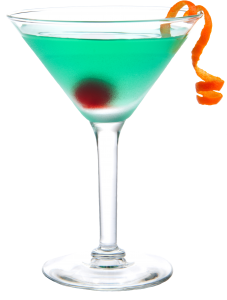 If it really hurts and depending on how bad you want your cocktail strength, use 2 to 4 oz. of Doc’s (Dark) rum. Combine all ingredients in an ice filled shaker, Shake and pour into tall glass. 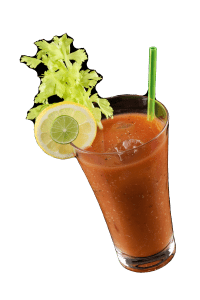 Garnish celery, tomato & lemon wedge. And BACON if you dare! Lightly muddle the strawberry in a mixing glass, then add the remaining ingredients. Fill with ice and shake until thoroughly chilled. Strain into an ice-filled rocks glass and garnish with a strawberry. Before preparing Doc’s Passion Mojito, infuse Doc’s (Silver) rum with fresh pineapple and a bit of habanero. 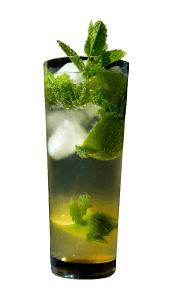 In a tall rocks glass, muddle mint leaves before mixing in the rum, simple syrup, passion-fruit puree and the juice of one lime. 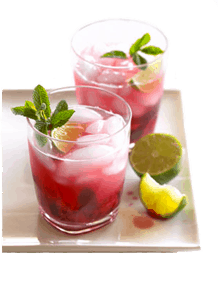 Stir and top with a splash of seltzer or club soda before serving. 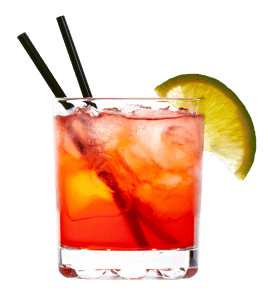 In a Collins glass pour Doc’s (Silver) Rum add Cranberry Juice, lime juice (some leave this out,) and ice, mix & top off with club soda or seltzer . Garnish, with lime wedge and/or a sprig of mint. Combine all ingredients in a cocktail shaker. Shake then strain over ice cubes in glass. 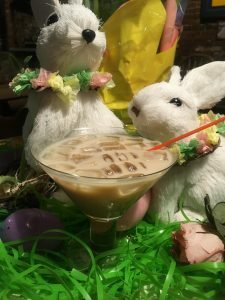 In a shaker filled with ice, mix all ingredients (except for optional float) Shake & pour into your favorite cocktail glass – add optional float if desired ~ Garnish with pineapple & cherry ! In a heat proof coffee mug add the Doc’s (Dark) Rum & Irish Cream. Pour in the coffee, top with whipped cream and dust with cinnamon sugar. 6oz Of any cola you dare to try. Fill a cocktail glass with ice add Doc’s Dark Rum & your favorite cola. Garnish with lime. In a shaker with ice, blend 1oz Really Bad Spiced, 1/2 oz Really Bad Silver and mix in equal parts of the three juices to fill glass. 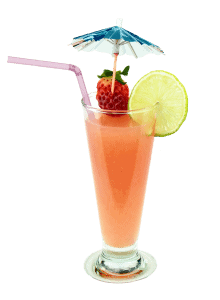 Shake vigorously to create a froth and pour into tall Hurricane glass garnish with fruit optional. 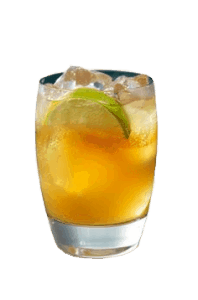 In a Collins or Highball glass filled with ice add 4 – 5 oz of choice Ginger Beer. Next layer a 1/2 oz of Licor 43. Top of with 1 oz Really Bad Spiced Rum. Garnish with a lime.